Cyprus, an island most people have forgotten exists, became the center of the world when they put forward a bizarre plan to solve their economic crisis. The leaders of Cyprus proposed a wealth tax that would take funds directly from people’s bank accounts. The plan was abandoned, but the idea behind it still lives on. A recent run-in that we had with the Washington Post shows just how far they are willing to go to foist a bad idea upon us. The Left has been churning some ideas to change our society, most of which will expand the reach of government. New controls on guns certainly come to mind as one, but there are many others. Some ideas are in their infancy. They want to tax people for each mile they drive, with car meters reporting mileage to the government. They are proposing eliminating the charitable deduction which would make the needy totally dependent on government by killing off the private charities that now aid them. One idea they are floating has been discounted by people as just silly, but European countries are already toying with it. That is to have a tax not just on income, but on wealth. You would have to report your total assets and then pay a percentage of those assets to the government. Recently we spotted a column in the Washington Post opinion page which seemed like it was advancing this idea so we decided to take a look. The column was written by Ray Madoff, a law professor at Boston College. Ray is a she and no relation to infamous Bernie, but it turns out the column was as fraudulent as was his fund -- so much so that after reading it we had to go to her CV on the Boston College website to see her legal specialty. She wrote about estates and trusts, but from what she wrote you would think her legal specialty was something like Constitutional law. Based on what she wrote, it certainly seemed she had little or no knowledge of estates and trusts or she was just intentionally misleading readers. 1. If they are a beneficiary of a trust they can have their mortgage and all other living expenses paid for them - Here she is just intentionally misleading and lacking knowledge. Assets get into a trust from someone’s estate. Those assets were taxed when the money was initially earned and then once again when the taxpayer dies as part of their estate. Usually these trusts don’t distribute the assets. Rather they most often distribute the income from those assets, which is taxed -- once again. There is no free lunch here. 2. They receive a $25,000 gift from an Aunt and Uncle - This is true, but people of more modest means can also give gifts of up to $14,000 ($28,000 per couple) in any year to anyone without paying taxes. This is a gift of monies they have saved from taxed income. Mailmen who worked hard and saved may wish to give that to a grown child and they often do. 3. A $7 million inheritance from their grandparents – Currently when one passes away they can are not taxed on the first $5,250,000 ($10.5 million per couple) they leave to someone in their estate. So Ms. Madoff is technically correct here, but this is an once-in-a-lifetime occurrence (when you die), and all these assets came from previously taxed income. 4. $50 million distribution from a life insurance policy – Well, first someone would have to die which is not an enviable choice. Second, this is plain wrong. Proceeds of a life insurance policy are included in an estate. The only exception is objectionable to most people and rarely done. Since anyone who had a policy this size would have been substantially wealthy, they would likely have other assets and thus all of the $50 million would be subject to tax as part of the estate -- at 40% tax rates. Reading this column, which we can only assume Ms. Madoff structured to tilt people toward a “wealth tax,” we contacted the Washington Post. We spoke to Lauren Taylor who is the copy editor for the editorial pages and told her the paper had been duped. We asked if they had the column fact checked. We asked if anyone had run it by their own financial planner who would tell them the column was garbage. We told Ms. Taylor that this piece would never make it in any professional publication and that is precisely why it was submitted to the Washington Post – it would not get published anywhere where someone actually knew something about the subject. Ms. Taylor offered us one of those little boxes in her paper which no one reads to explain this. She offered a letter to the editor which might get published. We told her this was so egregiously misleading that it needs a full-bore retraction or a column in the same space to explain the malfeasance of the author. We sent the information to Ms. Taylor about how she had been misled. Two weeks later Ms. Taylor said they were still reviewing it. Then she disappeared into Neverland. Ms. Madoff left someone who read what she duped the Post into printing with a false idea the “rich” were getting away with something. 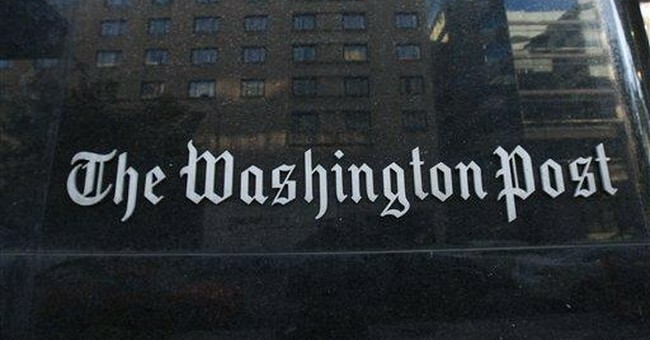 The Washington Post was shown to be what it truly is in this case – a shill for left-wing ideas. They no longer have fact checkers to analyze if what they are printing resembles the truth. Even when they are presented facts that go against their policy ideals, they cannot bring themselves to admitting the errors of their ways. Once again the media shows that they are more interested in their politics then the truth. The state of American journalism just continues to devolve. It is a sad state of affairs. If you think what happened in Cyprus with the idea of taking people’s money from their bank accounts will never happen here – think again.